Available only at The Container Store, our exclusive Elfa shelving and drawer system is what the best-dressed closets are wearing! This White Elfa Reach-In Closet provides room for both long- and short-hanging garments, shelves for storing shoes and accessories, plus smooth-gliding drawers that keep folded garments neat and easily accessible. The fine weave of the mesh and closed corners of the drawers prevent smaller items from falling through. All Elfa components are adjustable, so the solution is completely flexible! This solution is designed for a 7' reach-in closet. If this won't work for your space, please contact us so we can design the perfect solution for you with our free service! White Elfa Reach-In Clothes Closet is rated 5.0 out of 5 by 21. Rated 5 out of 5 by HRGirl from Total organization!! Love it!! The results speak for themselves. If you want to organize, then this is a must for you. Rated 4 out of 5 by Crista from Elfa Small Closet Super small closets are now fully functional. David, our salesperson, made this project possible. Simply brought in measurements and David helped us plan our closets. He helped us revise until project was completed. Rated 5 out of 5 by Lougle50 from Organization Bliss!! The design consultant made the buying process so easy. All I did was provide the closet dimensions, answered a few questions about my particular storage needs and I had a custom design that fit my budget. Items shipped quickly. My son did the installation and it went up very quickly without any problems. The fun part was putting everything back in and then standing back and seeing the completed project. It just makes me smile seeing that everything has a place and is finally "contained". Rated 5 out of 5 by HoleinOne from elf reach-in closet This is the third closet we have done for each of our four granddaughters. We're able to adjust it for their heights so they can reach easily and they can always change the rods/shelves as they get taller. I do the design at home and then go to the store and they tweak it for me to get the most out of the space. We just ordered for the fourth one! Rated 5 out of 5 by nicki79 from Celebrity Closet .......Oh Yeah!!!! I love my new closets. It's spacious, different, clean, sleek and a must have. I ordered two of them because I have side by side closets. My closet was pinch smaller, so I went with the 3ft poles and shoe racks instead of 4ft. Don't worry if your closet doesn't have the same measurements as listed below you can always make smaller or add or remove more as you see fit. I will be doing our son's room and linen closet next. My installer caught the error with the measurement layout form. I lived close to a container store so I was able to run some pieces back and pick up the smaller pieces same day and order was waiting for me at the counter. Thank you Container Store! I will be a return customer! Rated 5 out of 5 by Marlabear from Oh The Possibilities This closet was our first elfa purchase. Prior to buying, our bedroom storage was sorely lacking. We shared a closet and dresser; neither of which actually met our storage needs. The elfa solved all our problems! The customization offered at the Container Store allowed us to use every inch of space in our closet to its fullest potential. We were able to entirely get rid of our dresser and create more floor space in our room. The products are so high quality and function just as you'd hope they would. I literally want one in every closet in my house! Rated 5 out of 5 by LauraKate from Elegance and ease at a great price! Moving into a row house in South Philadelphia has its challenges. One of them closets. 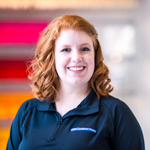 From all of the places we surveyed as well as contractors we met, we found the Container Store to be the very best to match our needs. The in-store designer was extremely knowledgeable and we took care of everything on the first visit. We were able to create very different closets to accommodate the differences between our masculine and more traditionally feminine wardrobes in the same amount of space. The on site team was courteous, efficient and even cleaned up after their work. Highly Recommended! Rated 5 out of 5 by Finny1 from Another organized closet Can't go wrong when working with the Container Store team make the most of the 4' X 4' closet in our bedroom. The design was just what we needed to increase our hanging space. Easy to assemble! Rated 5 out of 5 by summerrae from Closerific I love my closet set up. I have so much more room for clothes and shoes in my closet. I can't wait to have a closer location in the spring. Rated 5 out of 5 by mstebby from Great investment for your home Elfa closets are amazing. They have made our closets great. Easy to install, easy to rearrange. The kids love theirs. Fantastic investment! Rated 5 out of 5 by cisa from Wonderful! I designed my own rea ch in closet to my specifications. I took three hours on a day off and decontructed my closet and replaced by installing the elfa closet that I bought. It was easy and I could not be happier. I have more than enough room to spare! Rated 5 out of 5 by MCoker from Easy & Amazing We just bought a fixer upper and the closets needed to be overhauled!!! Designed the closets online...EASY.....went to the container store and service was Excellent!!! Took less than one hour to get the Elfa Shelving system installed. We turned the bonus room closet into office/homeschooling open closet. When it looks this good, why put the closet doors back up!!! Rated 5 out of 5 by momofthreeboys from Best Closet Organization System Elfa is very east to install!! This closet made a messy boys closet look very neat and organized!! Rated 5 out of 5 by HappyCloset from Love an Organized Closet! My daughter and I visited the Container Store at the suggestion of a friend. We were shopping for ideas on making better use of her closet space. We fell in love with all the options available! With the help of a friendly employee, we custom designed a system that is perfect for my college age daughter. We found the product affordable and extremely easy to install (we did it ourselves). The closet is now organized, neat and provides so much more usable space. 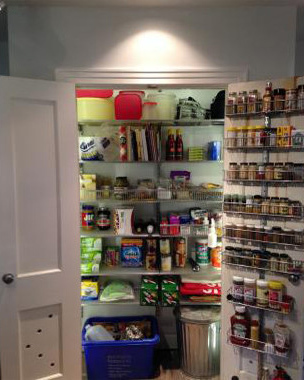 We have plans to install similar type products in the other closets throughout our home. We would definitely recommend this product for a wall closet with bi-fold doors. Rated 5 out of 5 by VanVan from Amaizing Transformation This is the best decision we had made. Check out the before and after and see what I mean. Rated 5 out of 5 by PracticalArranger from ELFA ADDICT!! Elfa is not only a noun, but now a verb in my vocabulary. I have "elfa'd" seven out of the eight closets in my house over the past seven years (I always wait for the sales!) with this white elfa closet option and installed an elfa desk/wall unit in my kitchen that receives compliments from most visitors to my home. I'm a huge fan of the versatility elfa provides, in addition to its strength, ease of installation, clean look, and multitude of vertical storage options. 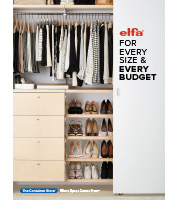 I have never worked for the Container Store, but I've convinced many friends to install elfa closets based on my own satisfaction with all of the elfa products. I even managed to get my husband to agree that elfa-ing is worth it because elfa's vertical storage options allow us to store many more items in our closets in a neat, organized fashion. 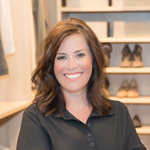 Additionally, all of the store designers I've utilized over the years have been incredibly helpful and patient in assisting me to create the best designs for my needs. My elfa closets will outlive most of the items they hold. You won't be dissatisfied!!! Is there any version of this that is a little smaller? My closet is 8' tall and 72&quot; long and so this closet design doesn't quite work, but I love this design. So what I'm wondering is: is there any way to shorten some things or cut some things out so that it would fit in my closet? You should probably consider a custom design. It's a free service and that way you get something that fits your space and needs. I'm very happy with the system they designed for me.